In an unprecedented move, Prime Minister Narendra Modi on Tuesday added a lethal edge to India's fight against black money by announcing that the currencies in the denominations of 500 and 1,000 will become invalid at the midnight of 8 November. The netizens lauded the bold move as a “surgical strike” against corruption and terror-funding. While this is indeed a major step forward, there are reasons to be cautious. What is the big announcement by the Prime Minister? 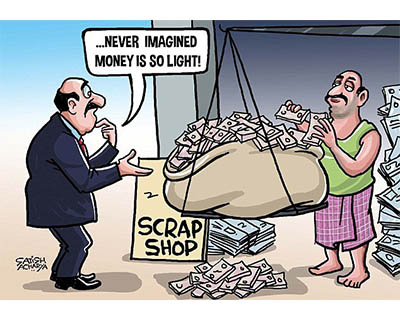 Prime Minister Narendra Modi on November 8 announced that 500 and 1,000 rupee banknotes would be withdrawn from circulation at midnight to crack down on rampant corruption and counterfeit currency. In his 40-minute address, first in Hindi and later in English, the Prime Minister said the notes of Rs 500 and Rs 1,000 "will not be legal tender from midnight tonight" and these will be "just worthless piece of paper." The demonetization of Rs 1,000 and Rs 500 notes is a major assault on black money hoarders, fake currency, and corruption. Soon after the address by PM Modi, in another press conference the Department of Economic Affairs secretary Hasmukh Adhia said, "New notes of Rs 500 and Rs 2,000 with greater security features and design will be circulated from 10 November." Banks will remain closed on Wednesday and some ATMs will also not function on Thursday, Modi said. Modi, however, clarified that the citizens will be able to deposit old notes of Rs 500 and Rs 1,000 at post offices and banks of their choice. "The public will have 50 days’ time between 10 November and 30 December to deposit old notes of Rs 500 and Rs 1,000 after showing a proof of identity (POI)," he said. The accepted POI documents include Pan Card, Aadhaar Card, Voters ID Card, Driver's License and Passport. The exchange of old notes, however, will be limited to Rs 2,000 between 10 and 24 November, and it will be increased up to Rs 4,000 between 25 November and 30 December. However, government hospitals, pharmacies in government hospitals, airline ticket counters, bus ticket counters, railway ticket counters and petrol pumps will accept old notes for the next 72 hours, i.e. till midnight 11 November. Those unable to deposit Rs 1,000 and Rs 500 notes till December 30 this year can do so in designated RBI offices till 31 March next year after filling a declaration form along with proof and reasons, the Prime Minister said. The Prime Minister emphasized that there is no restriction on any kind of non-cash payments by cheques, demand drafts, debit or credit cards and electronic fund transfer. "Banks will be closed tomorrow. It will cause some hardship to you....Let us ignore these hardships... In country's history, there comes a moment when people will want to participate in the nation building and reconstruction. Very few such moments come in life," Modi said. After PM Narendra Modi’s sudden televised announcement of ban on Rs 500 note and Rs 1000, calling it as a game-changer, there was shock and curiosity over the action. There are about 16.5 billion of 500 rupee currency notes and 6.7 billion of 1,000 rupee notes in circulation, according to central bank Deputy Governor R. Gandhi. A one-time chance to come clean on unaccounted wealth led to declarations of only about 25 billion rupees in tax last year, while an income declaration program this year had met with a mixed response. This move would deal a body blow to those who didn’t make use of the opportunity. The move was taken with such short notice to ensure hoarders of black money and money launderers do not have any time or option to react. The black economy’s size has variously been estimated but is widely believed to be about 40% of Indian gross domestic product (GDP). This will also push the people towards dealing in white cash in the future. With Narendra Modi slowly moving towards digitisation, this move will also propel people to start dealing more in plastic cash and further aid digitisation. It could boost tax collection – evasion will become difficult, boost logistics and could help increase India’s global competitiveness. Property prices could plunge as a result of the effective curb on cash transactions.It is an open secret that most of the black cash gets diverted to the property market. This will also choke the flow of fake high-value banknotes militant groups use to fund their attacks against India. It is going to help curb counterfeiting. As many as 250 out of every 10 lakh notes in circulation are fake, according to a study conducted by the Indian Statistical Institute. The study found that fake notes with a face value of Rs 70 crore are infused into the system every year, and law enforcement agencies are able to intercept only a third of this. The study found that Rs 1,000 notes constitute about 50 per cent of the total value of counterfeit notes. 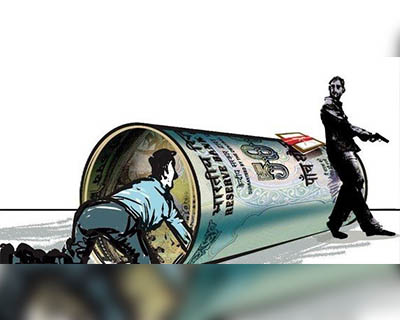 India has struggled to curb corruption and slush funds in the economy, or “black money”, especially in the real estate sector.The country was ranked 76th among 168 countries in Transparency International’s 2015 index on corruption, which is estimated to cost the country 1-2% of gross domestic product every year. Though the decision could cause some unmerited temporary irritants for the white money holders too, especially because of its suddenness, it would ultimately have a wholesome effect on the economy. When does the move appear to be well-thought out? India has pulled select denominations of its currency twice before. The first was when Rs 1,000, Rs 5,000, and Rs 10,000 notes were taken out of circulation in January 1946, a year and a half before the country won independence from the British. The Rs. 10,000 notes were the largest currency denomination ever printed by the Reserve Bank of India, introduced for the first time in 1938. All three notes were reintroduced in 1954. In January 1978, the Indian government again demonetized Rs 1,000, Rs 5,000 and Rs 10,000 notes in a bid to counter black money in the economy. Under the law all “high denomination bank notes” ceased to be legal tender after January 16, 1978. 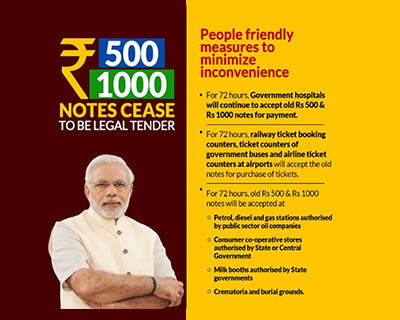 There was a prohibition of transfer and receipt of high denomination bank notes. Plus, all banks and government treasuries had to send to the Reserve Bank the total value of high denomination bank notes held by it at the close of business on the January 16. People who possessed these notes were given till January 24 the same year – only a week’s time – to exchange any high denomination bank notes. The one big difference with the announcement Tuesday is that Rs 1,000 and higher value notes were almost impossible to possess then for the common man given the value of these amounts then. Outside India, earlier this year, the European Central Bank said it was considering demonetization of 500 euro notes. Even in the US, there have been calls to stop fresh issuance of $100 bills for a while now. In 2010, 2.6 billion $1 bills were destroyed in what was one of the world's biggest currency destruction at that point. It is essential for the government now to ensure that the subsequent fall-out of the announcement does not create complete chaos. Banks in India are overstretched on normal days, and with the kind of traffic this announcement will create to deposit old notes, and take out money in the new permissible denominations might create mayhem unless carefully structured and guided.Panic is a real possibility and needs to be guarded against. 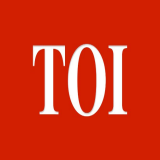 Tushar Arora, an economist at HDFC Bank, said that the sudden step “might lead to some confusion in the near term” and there was the possibility of short-term cash shortages if the transition were not handled smoothly. The short notice too sparked concern among people, and large queues were reported outside ATMs across India, as people rushed to withdraw smaller bank notes.The move could also inconvenience poor people and families planning weddings, the season for which starts in days. It wasn’t immediately clear how businesses and private banks with large stocks of high-value notes will deal with the transition. Moreover, given that about 40% of India’s economy is driven by small- and medium-sized enterprises that largely run on cash transactions, the decision could have a knock-on effect on economic growth. Who will be really impacted by this? Skeptics point out several flaws in the move, saying that it is bound to prove bad news for those who do not have a bank account in the country. About 49% adults in the country have no bank account while only 22% accounts are with debit cards, according to several research estimates. This move will also deeply impact the working sections of society: drivers, maids, cooks, electricians, plumbers - in essence anybody who provides services in the informal sector and depends on monthly or bi-monthly cash payments. Demonetisation will be a huge shock for bankless villages, which conduct only currency transactions. 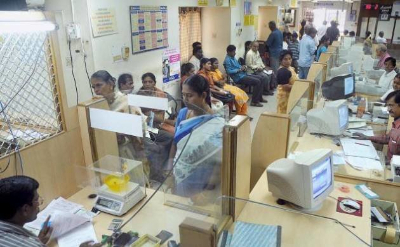 India has a little over 10 lakh bank branches. 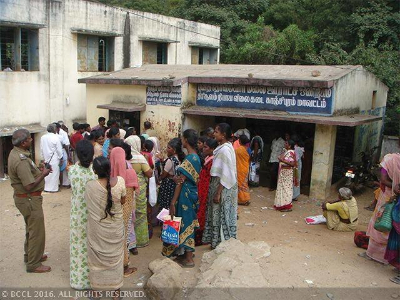 There are 6.8 lakh villages, most of them without a bank. Since the 500 rupee note is no more legal tender, and rich landlords and rural politicians have to rush to banks in the city, village economies will be hit in the immediate term. In addition to this, the government move can also turn Indian rupee less credible for the common people for some time and drive them towards gold, raising the demand for and the price of the precious metal. It may also spell a short-term blow to real estate developers, but would also imply that housing across segments would become cheaper. Real estate as a sector is often seen as one of the biggest areas where black money is deployed. 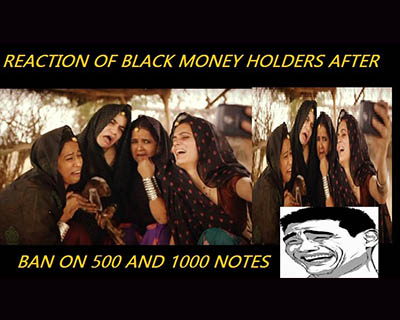 How much can this really help in reducing black money? 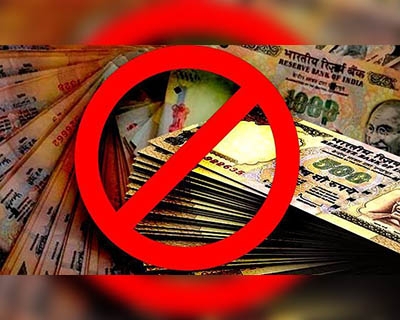 Leaders of India Inc. commended the Centre’s move to ban currency denominations of Rs. 500 and Rs. 1000 and expressed the hope that proper execution of the plan would help curb black money. Individuals and entities that have physically stocked black money or undisclosed cash will now have to disclose their holdings to banks if they want to exchange the old notes. In the case of big transactions, banks will inform the income tax department, which will verify the disclosures made by the taxpayer. To some extent, the proposed demonetisation will also curb hawala transactions and domestic cash transactions that use couriers to transport money on a daily basis. However, the percentage of black money floating in the market is estimated to be less than five per cent of what is hoarded by Indians so the impact of the latest move may be limited. Apart from cash, Indians also hoard wealth worth over billions of dollars in the form of gold. Therefore, while banning Rs 500 and Rs 1,000 notes will tackle the black money that is in the form of hard cold cash, it won’t affect other forms of black money. Note: Hawala is a method of transferring money without any actual movement. One definition from Interpol is that Hawala is "money transfer without money movement." Transactions between Hawala brokers are done without promissory notes because the system is heavily based on trust.